• Perfect for starting a small produce business, growing for restaurants or supplementing existing produce production. 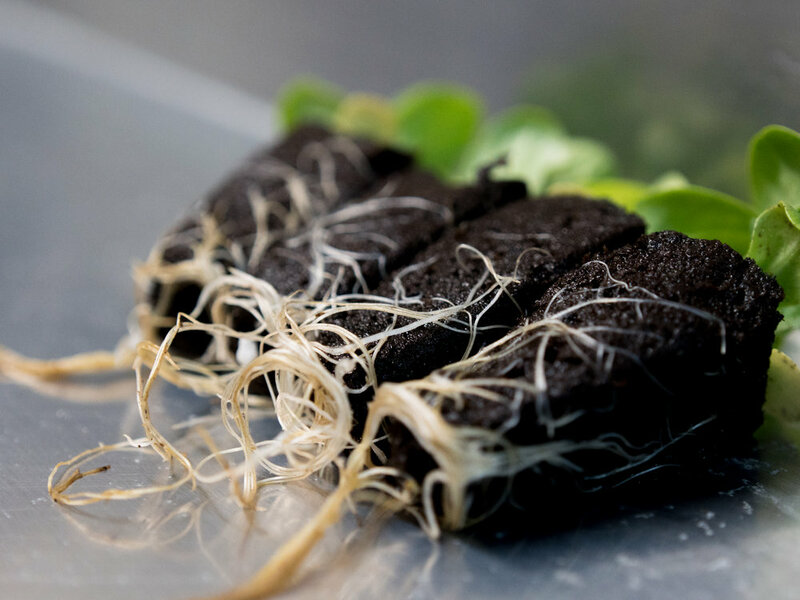 • Restauranter who wants to grow custom greens for rotating menus 365 days a year. Farm to Table? How about Parking Lot to Table! • Universities and schools have created programs for students to learn to grow while supplementing dining facilities with fresh greens. Space- The LGM dimensions are 40’ x 8’ x 9.5’. We suggest putting the farm on either trap rock or a concrete pad. Electrical- 60 amp, 120/240-volt single phase or 120/208V three phase connection. Water- A designated water source is suggested such as a garden hose or hardline water plumbing. Labor- 15 to 20 hours a week for farming and upkeep. 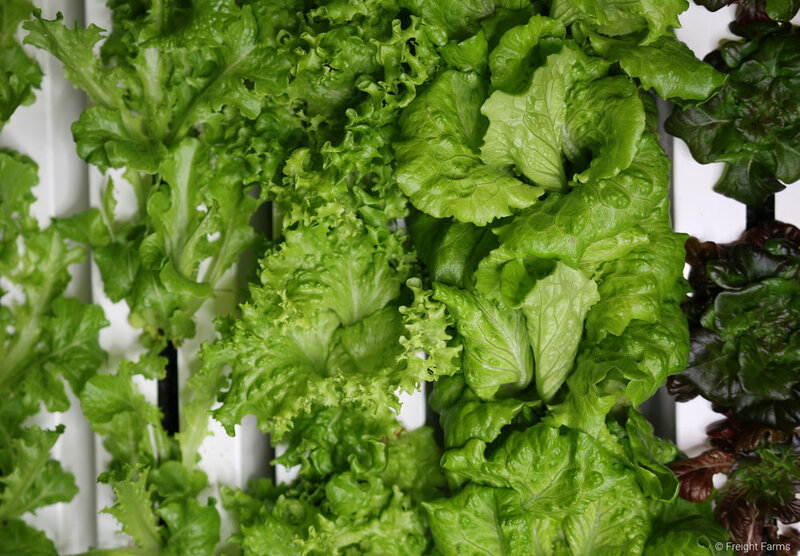 It is recommended growing smaller compact crops with a high turnover rate, like head and loose leaf lettuces, herbs and heartier greens like kale and swiss chard. 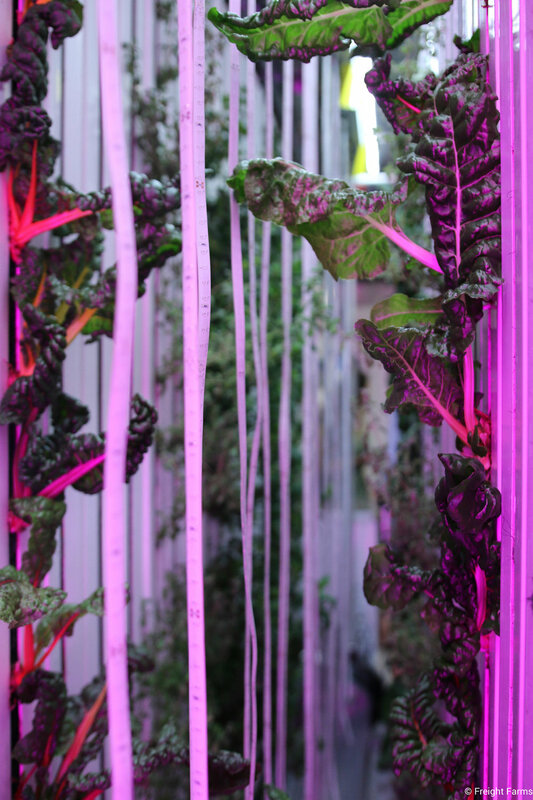 Training, website and ongoing support available through Freight Farms. Visit www.freightfarms.com for more information.